Hey Folks!! So, I recently wrapped up my work on the Smurfs, and had a lovely week off to celebrate. I have to thank everyone on that team for making it a very fun movie to be a part of. 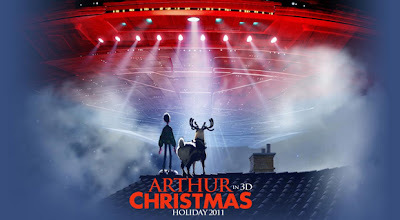 With Smurfs completed it's time for me to move on to the next project, and that is... "Arthur Christmas"
I'm very excited to be working on this film. I always adored the wonderful animated Christmas classics of my childhood, and I'm sure this will become one of those classics for a whole new generation of whippers-snappers. It'll be out in theaters this holiday season! !